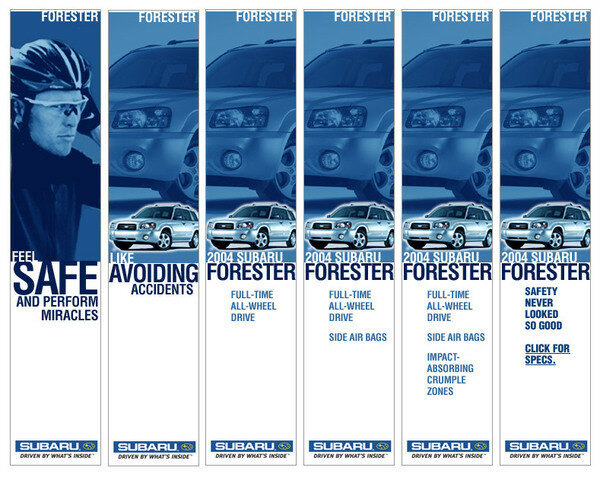 When I took over the Subaruadvertising account Lance Armstrong had been chosen as the new spokes personfor the brand. I had to create asite and online advertising campaign that would announce Lance as their newsspokes person and show how Lance and Subaru shared many similar traits. Thesite and campaign was developed using a strong visual style using bold colorsand typography using the concept of “What Drives Lance” that communicated thesimilarities between the two. 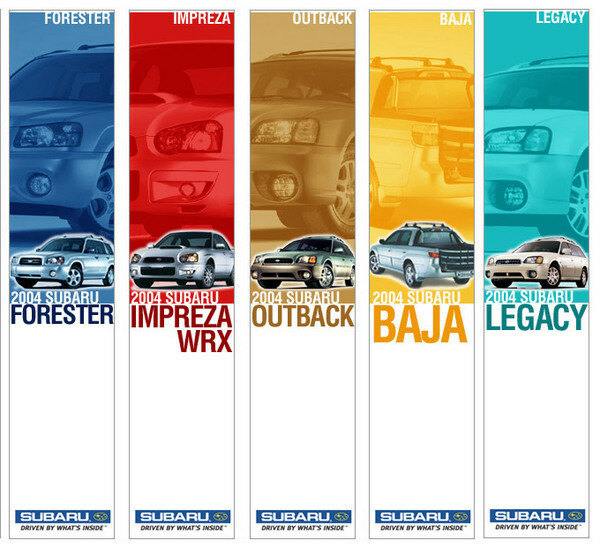 Each characteristic was then married to aparticular Subaru model and deeper content was provided about Lance and theSubaru model. 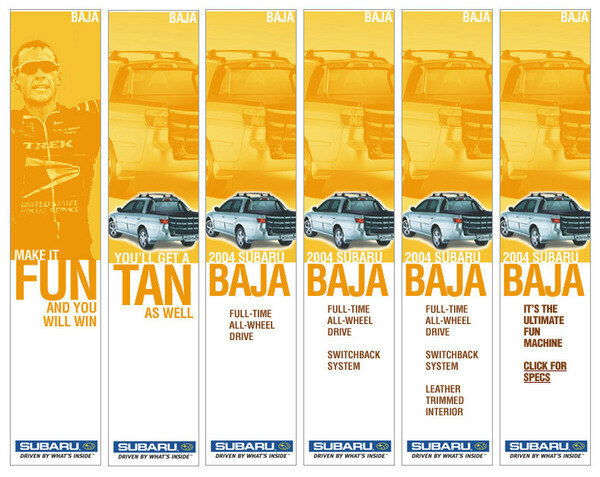 The onlineadvertising also used the strong visual style to create an extremely successfulcampaign as the design stood out among the clutter on automotive sites.